Your local Vancouver dishwasher repair, washing machine repair, dryer repair, washer & dryer repair, fridge repair, freezer repair, oven repair, stove repair, maintenance & service company! We restore your major household appliances back to perfect health. Get in contact with a mobile Vancouver appliance technician today! Appliance Repair Vancouver Brings Experts! Have broken appliances in Greater Vancouver BC? Appliance Repair Vancouver, your local appliance repair company, is always around the corner to send a qualified technician to your door to assess and repair the broken item and equipment. Whether it be a washer, dryer, oven or other kind of appliance, from any brand and any maker. Don't throw away that fridge, unless you want to replace it, because our fridge repair cost is low and fair, just like all our other service prices, and we fix everything to the highest standards so that it has the least possible chance of breaking or malfunctioning again in the future. Don't believe us? See what ARV can do by calling us now! We're ready. We're excited to get to fixing your ovens, stoves, fridges and more! Major Appliance Repair in Vancouver BC! There's no home appliance we can't fix. We'll supply all the parts you need and get the job done, satisfaction guaranteed! Even barbecues and vacuums can be mended back to full health with our quality services. Got a broken microwave? Did your oven break down, your washer or dryer? Whether it is Panasonic, Maytag or another brand, infamous or popular, we know how to fix it and you can watch the process or never think about it again. We love seeing our services make home living more comfortable. Contact us and learn why the neighbors have never thrown out a washing machine in their life! ​We've taken the effort to learn each appliance manufacturer because we believe in reliability and trust. Let's get to repairing! All areas located around the perimeter of Vancouver BC are within our reach for all big and small appliance repair and replacement services. Trust our technicians to have your home applainces working like new again. We are not a supplier of parts unless you require them for our repair and fixing services. If your washer or dryer needs a new part or insert in order to function properly again, we'll be glad to get that piece for you to save you the extra hassle and worry. Count on us for help! Washers are prone to break down, and most of us don't have the time to clean our clothes by hand, especially in the busy, beautiful Greater Vancouver area, and that's why ARV is here, to make your home living comfortable again! ARV knows the ins and outs of all different household appliance making brands, like Panasonic, Whirlpool, etc. So no need to worry when it comes to specific parts or name-brands. We got this handled, satisfaction guaranteed. All it takes is a phone call today. You might ask "can microwave ovens be repaired?" The answer is yes! Sometimes microwaves need a slight tuning, just like your car, and a technician whose fixed hundreds of those bad boys can be at your door today with all the proper tools to get it fixed pronto. Why look for a vacuum repair shop when we'll come straight to your home today? Look no further for your refrigerator fix up service to get those meats and veggies nice and cold before they're rotten and spoiled. We work fast and on time for you! Call us right now! Not everyone around Burnaby or Richmond BC has the time to clean each dish by hand, and so if you're looking to fix your kitchen dishwasher without replacing it, or if you want to remove all stress and replace it now posthaste, count on the team of kitchen equipment maintenance pros to do it pronto, headlong with cheer! Whether its a clothes dryer or a hair dryer or even some other kind of dryer that uses human technology, we'll figure out a way to get it fixed and working top-notch, 100% ASAP. Whether your family appliance needing repairing is American, Canadian, German, Japanese, Chinese or from any other producing nation, we have methods and know ways to get the parts and skills needed to fix your specific home comfort equipment. Imagine what a working appliance can do for your home. There's nothing like a barbecue or grilled dinner, unless the stovetop is damaged and some tubes are loose. Call the fast lcal technicians to see your party wont be spoiled! Barbecues do us such a great service, so they deserve to stay in working order! never have to worry whether your BBQ will be working for the summer party when we're always ready! What appliances AND Household Items can A.R.V. fix FOR YOU TODAY? All of them! Seriously! RESIDENTIAL HOUSEHOLD APPLIANCES AREN'T THE ONLY THINGs WE CAN GET REPAIRed TO 100% - We serve stores and COMMERCIAL businesses! Own a gym and need fitness equipment repair in Richmond, Burnaby or Vancouver BC? Well, that's a win-win situation, my friend, because we know how to fix those and, as a locally own business, would love to service you the best we can today! We're happy to help. Range and gas stoves and ovens for home or public restaurants in Western British Columbia are only a phone call away from being fixed ASAP or to the order of your utmost convenience. We always bring more than enough tools. We strive to be a reliable bunch of workers, so consider all your Kitchenaid appliances fixed to working order again! Need a washer repair man who knows all the specific parts of Electrolux equipment? look no further, because we're nearby. A busy night is the worst time to have a broken oven. We consider that an emergency, and will be there as quickly as possible wit hall the knowledge and tools needed to make sure your customers are fed. We also install and replace industrial ovens. Big and small LG stoves are familiar with our local technicians, so have no fear and consider it fixed already. Keep wines chill is important for wine collectors, especially if the bottle's been opened already, which his why we'll be there asap to fix it. It might be hard to get a good exercise without this valuable service. We fix all fitness equipment. You need the service, we'll get the parts and install them, really! Because proper fitness is important. For those who like to watch movies when they ride their bike, we love you! And we'll serve you happily! We're familiar with Bosch parts and can replace and install them for broken Bosh equipment. We know the details of LG electric appliances, especially their home and restaurant dishwashers. So if you have damaged parts or loose wires, we're here for you, and we'll get your machine operating like new again. Sometimes an appliance isn't really broken per se, but not working fully well because of built-up grease and grime. We consider such a service a repairing job, despite the cleaning. We love providing convenience for owners of commercial and industrial cooking equipment by coming to fix them asap, at affordable rates. All freezers aren't perfect, but we know how to work around that. If wires are snapped and things aren't working just right, don't fret. Call us! When a freezer malfunctions, what you need is a qualified, bonded and insured professional technician with training to see the job done. We understand how important it is for kitchen equipment to work properly, especially on a busy night, hence why we offer fast, caring convenience for local businesses. We're always around the corner to fix your domestic or industrial dehumidifier any day of the week. As experts we're accustomed to all common refrigerator problems, the uncommon ones, too! We fix gas ovens and restore all related appliances, for commercial uses. conventions and households. We also install all forms of gas ranges and oven hoods for commercial use. Have modern monogram or antique ice boxes? Well, we know how to fix them all, whatever the problem is. All parts of your oven, not just doors, like bulbs, gaskets, wires and elements can be fixed today! Just call to see how quick we can fix it! Why Should You Choose Appliance Repair Vancouver for Repair Services? Appliance Repair Vancouver comes straight to your location in a timely manner or to your schedule. We keep a convenient store of appliance replacement parts and pieces in our vehicles. This assures a great chance of already having the part needed to replace inside of your damaged appliance, removing the waiting time required for mail delivery. We work fast in a calm manner, respecting the homes and commercial businesses of our clients. We're great for making a long term friendship with, as we strive to remember names and faces to create a polite, family-like environment. Whether it's a wine cooler, a soda pop dispensing machine or a cash register, we do whatever it takes, rarely needing on-the-spot research, to fix your broken appliance. We serve domestic households as well as restaurants and literally anyone who calls us needing appliance repair services in Vancouver, British Columbia, Canada and all surrounding locations. All these reasons and more are why you should choose Appliance Repair Vancouver. Have a Broken Fridge? Need an oven repaired? We fix Stoves, washers, dryers and More! Domestic appliances add a great level of comfort to the family home. And industrial appliances make working in commercial kitchens a breeze. But when appliances break down and stop functioning properly, things can get complicated. Have no fear and don't fret! The super heroes of appliance repair services in Vancouver BC are here. We'll come directly to you to assess and repair any damaged equipment like ovens, grills, barbecues and more. Restaurants trust us to arrive on a timely manner and mend their broken cooking equipment pronto. 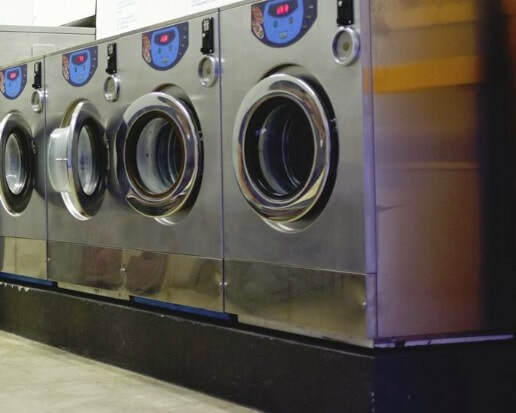 We understand the importance of getting washing and drying machines fixed right away for laundromats. No appliance is too big or too small to see proper attention. Call us the "appliance doctors" because we loving giving aid to broken electronics. If you're in doubt, call now! See what serious hard work and patience can do as we get your kitchen appliances back to perfect condition! Our team of appliance repair technicians, based in Vancouver BC, travels to Surrey, Burnaby, Richmond and North Vancouver with the tools and replacement parts needed to fix Samsung, Maytag and all other manufactured commercial and residential appliances. Need a washer door replaced in Grandview-Woodland? Call now and consider the job done! Require a refrigerator mechanic in Arbutus Ridge? Fill out our fast and easy quote form and let's schedule a time that works for you! Are you in North Vancouver in need of mobile vacuum repair services or need a microwave working again? You're only a click away from receiving the perfect vacuum repair service for you. We fix all household equipment as well as restaurant cooking machines of all sorts. From Kerrisdale and Marpole to Killarney and Metrotown, count on Appliance Repair Vancouver for the best reliable and affordable mobile appliance technician services. The Greater Vancouver BC area and all surrounding locations like Burnaby and Surrey are covered under Appliance Repair Vancouver's radius. We're proud to be serving such a large area because we have a large team of dedicated technicians and mobile mechanics with the supplies, knowledge and expertise to fix, repair and mend any broken or damaged appliances you might have, whether they're domestic household goods or public commercial machinery. Don't hesitate to get your broken appliance repaired today as our friendly repairmen are always on call to help with low prices and affordable rates to meet you with utmost satisfaction, kindness and dedication. Let's get that appliance repaired today! We're a mobile, to-your-door commercial & home appliance repair company so there's no need for you to seek out our Vancouver location. We wish to save you hassle & stress by coming to you. Click to Call and Fix Your Appliance Now! Below you can read a lot more about our many various services. Everything from commercial refrigeration repair to Samsung dryer repair and a whole lot more is covered. Dishwashers, oven hoods, vacuums, barbecue cleaning, etc, we do it all! From Surrey and Abbotsford to North Vancouver, British Columbia, Canada, our appliance repairmen, technicians and mechanics are always just a phone call away. We believe in convenience and reliability, so we'll be there! No clothes washer is too damaged to restore back to health. We frequently familiarize ourselves with various Kenmore appliances. No comfort-equipment is too big or heavy-duty for a restoration. For establishments who dare never worry about their appliances again. On call and to your door even on weekends and some holidays. We're accustomed to Magic Chef kitchen equipment for repairs. Forgive the pun, but we'll spin around to fix your Whirlpool. No tag ever said it was too late for anything, especially a Maytag. For RVs and mobile trailer homes, you might need a mobile service. We know where to get any gasket you need to replace for fridges. What's a freezer worth if it ain't producing frigid air? Worth fixing! For laundromats and parents who dislike stains in Timmy's jeans. Can't fry a potato if the fryer ain't working properly. Thanks Sherlock! We're open on Saturday and Sunday in Vancouver BC. When the food ain't cooking, the repair man's on the way, man. Botched your Bosch? Call the local pros to get it fixed today, friend! Summer without working coolers in Vancouver, my next horror book. Did you cut your Haier? We'll fix it ASAP for a great deal! We like to make a hot point about our Hotpoint appliance knowledge. Cook your food like a viking, or fix your Viking appliances today! We're always around the corner. Forget an appliance repair shop. We come to you! Sam sung about the broken dryer again. Better call the repair person! Samsung appliances are known to be long lasting, though we can still fix them. For regular check ups you can count on, call our staff today to book a schedule. We'll be at your location ASAP to give the solution you need to restore your fridge. Everyday you're restaurant is ready for a busy night with a broken dishwasher! We're here! Nearly all Amana appliances have come and gone betwixt our fingers over many years. You can air fluff your clothes or dry them in the sun, or fix the heating element today! Sometimes people have more than one fridge that needs to be fixed, and that excites us. 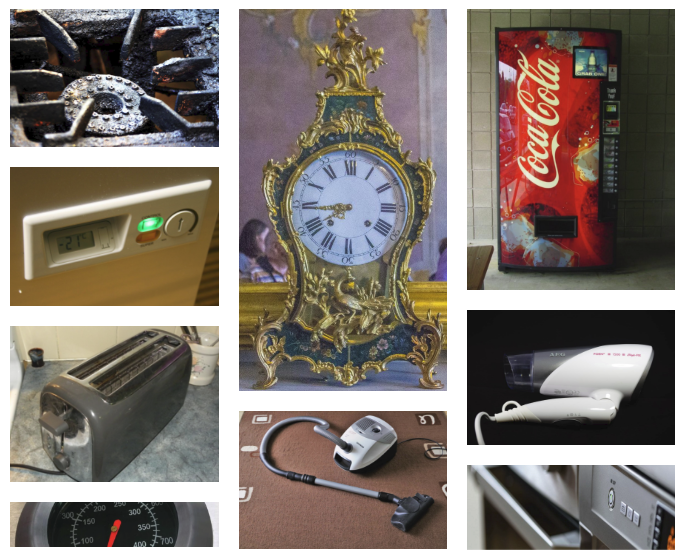 A small electronic appliance can have sentimental value, let's keep the thing alive! Collect old freezers? You're not alone, pal. Let's get 'em fixed pronto, at fair costs! That moment when someone orders soft ice cream right after the machine breaks down. We're accustomed to gas dryers made by many different manufacturers. Did your Sears fridge break down? That's rare to happen, but we're here to fix it! Many laundromats love the assurance of regular scheduled routine maintenance. In a Vancouver house on the West Coast, it's fun to fix Westinghouse appliances. #Westside! Industrial stoves and commercial ovens work best with a regular maintenance service. We respond quickly and can be relied on for fast industrial dish washing machine repairs. GE appliances for home and businesses need not stay broken for long, if at all! We fix deep fryers and other cookers like crock pots and ovens. Gyms and fitness clubs sport perfection. We maintain it. Sometimes a different kind of aid is needed in the kitchen. Because only Canadians keep their stove in the bedroom. Domestic and residential refrigerators matter! When both machines break down at the same time..
Dryer mechanics, we've been called worse. #dryerspecialist! Repair your washing machine today at the best cost! ​We are super heroes when it comes to fixing ovens. Rarely does a kegerator need a tune up, but we're ready. For collectors of wine who know this service matters. Everything a broken appliance could possibly ask for & more! Fixing fridges can be awfully boring. Let us do it for you! Just howl at us and we'll be there, satisfaction guaranteed. Dishwashers are sometimes known to get technical. Refrigerator compressor replacement can save lives. Have a recreation vehicle with a fridge that needs fixing? For stores, restaurants, homes and all oven lovers. We can do more when it comes to Kenmore appliances. Refrigerator mechanics here to re-gas the old ice box. It's important that dish-washing machines work, especially if you don't have time to clean dishes the old fashioned way. For busy restaurants, an on-call, to-your-door mobile dishwasher repair service can make the difference between a successful night despite an emergency and an all-out failure. Don't let your dishwasher breaking down stop you from having the day you want. Appliance Repair Vancouver takes dishwasher repair seriously, and there isn't a dishwashing machine on Planet Earth we can't fix! Why should you Choose Appliance Repair vancouver over other companies in vancouver, British Columbia, Canada? Choosing Appliance Repair Vancouver for all your small and major, residential appliance repair services in Vancouver BC not only means you're choosing to support a real local Canadian company but you're choosing to give yourself the best services possible. The leaders at Appliance Repair Vancouver teach each staff member the importance of giving all they can give to customers and regular clients. There's a major difference, we believe, from simply showing up to get the job done and showing up with a smile and positive energy to get the job done in an efficient, polite manner that has a long lasting, beneficial effect on everyone involved, with a 1 year warranty. So choose A.R.V. to fix your fridge or provide any other appliance service and you won't be disappointed. Thank you for considering doing business with us!